The Nikon D600 hanging out with my trusty Nikon 28mm f1.8. 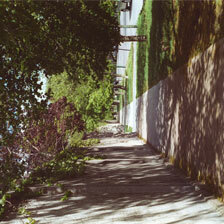 Back when I first started taking pictures seriously, I purchased a Nikon D40. About 10,000 pictures in, I traded up to a Nikon D90. 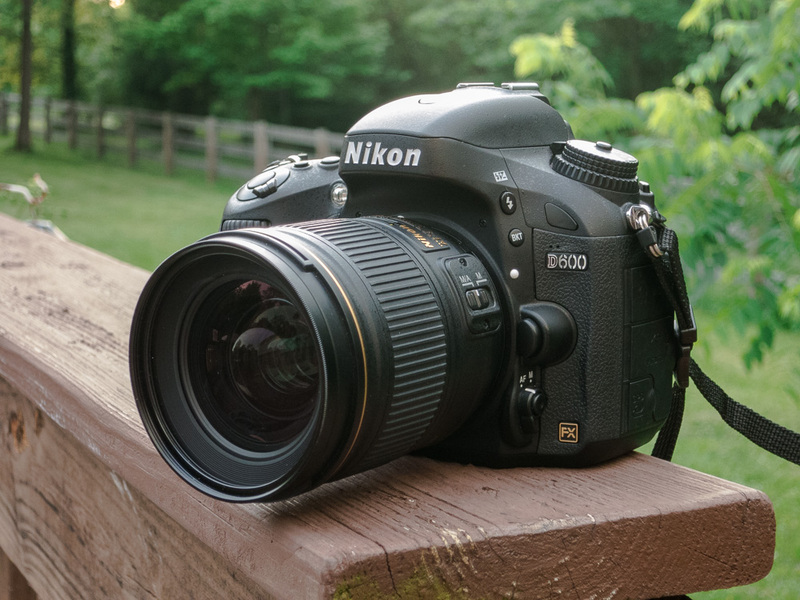 After taking another 10,000 photos with the Nikon D90, I jumped ship to a Nikon D7000. 10,000 photos with the D7000, I could no longer resist the siren call of full frame and purchased the camera I have today: the Nikon D600. At a wedding this weekend I officially crossed the 10,000 photo mark with my Nikon D600, and for the first time I have no plans on upgrading. For all my purposes, the D600 is just about perfect. Lightweight, full frame, excellent picture quality, fantastic handling, dual card slots, and full compatibility with all my retro Nikon lenses… there’s almost nothing missing. The only thing I can complain about is moire issues in video and the inability to adjust aperture while in video mode, but I barely ever use video anyway. That’s what Canons are for. 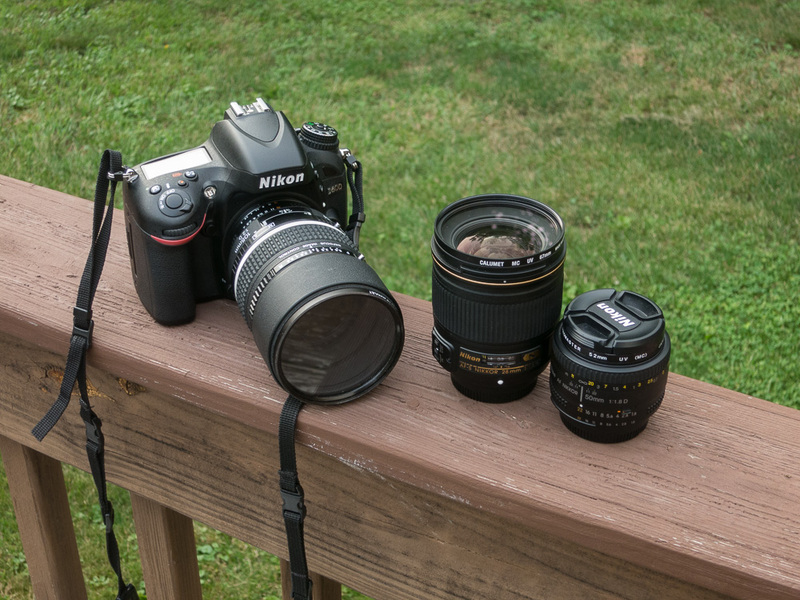 The D600 and my three main lenses that I shoot nearly everything on: the 105mm DC f2, the cheapo 50mm 1.8 and the 28mm f1.8. Because of some oil issues that I personally haven’t experienced, the D600 was only on the market for a very short period of time. It’s now been replaced by the almost identical Nikon D610 , which will be my next camera if my D600 meets a premature death. So here’s to another 10,000!